The Jack, Joseph and Morton Mandel Center for Advanced Holocaust Studies holds conferences, both nationally and internationally, that bring together established and new scholars from around the world to promote cooperation, address understudied Holocaust subjects, and disseminate new research. Co-organized with Yahad – In Unum and the Museo del Holocausto Guatemala under the patronage of the United Nations Education, Scientific, and Cultural Organization (UNESCO), this conference brings together scholars to address the role of the police in the Holocaust, particularly in the organized murder of Jews and Roma. Participants will address how and why the police—as an executive agency of the state as well as an organized group of decision-making individuals—took part in the genocidal process across Europe, and examine the extent of their participation in different countries and contexts. Co-organized with the Elie Wiesel National Institute for the Study of the Holocaust in Romania, this conference brought together scholars from all disciplines working on the Holocaust in the southeastern tier of Europe to share their research. The Museum’s Mandel Center for Advanced Holocaust Studies and the International Tracing Service organized an international conference designed to illustrate the broad academic research potential of the ITS collections. Co-organized with the Rosenthal Institute for Holocaust Studies of the Graduate Center of the City University of New York (CUNY), this international conference coincided with worldwide commemorations of the 70th anniversary of the Holocaust in Hungary. The conference engaged international scholarly cooperation and presented new and emerging scholarship on the Hungarian Holocaust and its aftermath. Co-organized with the Simon Wiesenthal Institute for Holocaust Studies, this interdisciplinary conference brought together scholars in the humanities and social sciences to forge new analytical perspectives on collaboration in Eastern Europe. Panels addressed memory, trials, and the role of institutions such as the police, state administration, and press in the destruction of Jews and Roma in the Holocaust. Co-organized with Georgetown University, the National Research University Higher School of Economics, and the University of Toronto, this interdisciplinary conference brought together scholars in the humanities and social sciences to forge new analytical perspectives on the Holocaust in the East, the Nazi occupation of Soviet territories, and wartime Stalinism. Co-organized with the Melbern G. Glasscock Center for Humanities Research at Texas A&M University, this interdisciplinary symposium explored emerging Holocaust research on immigration, refugees, and rescue, as well as current research on immigration in the American context. Panels addressed migrant networks, refugee and immigrant identity, migrant education, and religion and social memory in comparative and historical perspective. This program was made possible through the generosity of the Yetta and Jacob Gelman Endowment. Co-organized with the Topography of Terror Foundation, this interdisciplinary conference examined the legacy of the Eichmann trial 50 years on. The trial was broadcast widely on radio and television, bringing the testimony of survivors into the public realm in an unprecedented way and marking a turning point in international awareness of the Holocaust. The conference examined the trial’s lasting impact in the realms of law, media, and history. Co-organized with Shenandoah University, this interdisciplinary conference explored the challenges scholars and teachers face as the Holocaust becomes more distant in history and eyewitness voices begin to fade. Operation 1005 was the code name for the large-scale, secret campaign by Nazi Germany to destroy the evidence of mass murder that it perpetrated during World War II. This conference highlighted new archival resources and cutting-edge research on Operation 1005, including—but not limited to—the decision-making process; bystanders; case studies about places where it was conducted, both within and outside camps and ghettos; the 1005 Sonderkommando, including revolts and attempts to escape or sabotage the campaign; technical details; comparative studies; related postwar judicial proceedings; survivors’ and witnesses’ testimonies; and Operation 1005’s relationship to Holocaust denial. Since the dissolution of the Soviet Union, masses of rich materials have become available, providing new insights into previously under-researched aspects of the Holocaust and World War II on Soviet territory. This conference looked at those insights, examining the Soviet Jewish experience during World War II and the Holocaust. The conference focused on Soviet Jews in armed combat in the struggle against Nazis and their collaborators; Soviet Jewish life and culture during the war; collaboration as a Soviet and post-Soviet issue; the Holocaust and the evolution of Soviet Jewish consciousness; German, Axis, and Soviet policies and attitudes during the Holocaust; Nazi and Axis camps and ghettos in the Soviet Union; and representations of Jewish soldiers in the press, literature, and films. This conference highlighted the latest historical research on the Holocaust in Ukraine, including discussions of new sources of documentation. 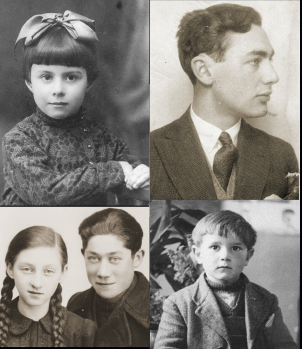 Topics included perpetration, collaboration, and local reaction; documentation, physical evidence, and testimony; the history, responses, and resistance of Jews and other victim groups; and aspects of historical memory and representation. The conference was jointly organized by the Shoah Memorial, Paris; the Museum’s Center for Advanced Holocaust Studies, Washington, DC; Yahad-in Unum: Catholics and Jews Together, Paris; and the Center for Central Europe History of the University of Paris IV-Sorbonne. Spring 2004 marked the passing of 60 years since the deportation and destruction of hundreds of thousands of Hungarian Jews. 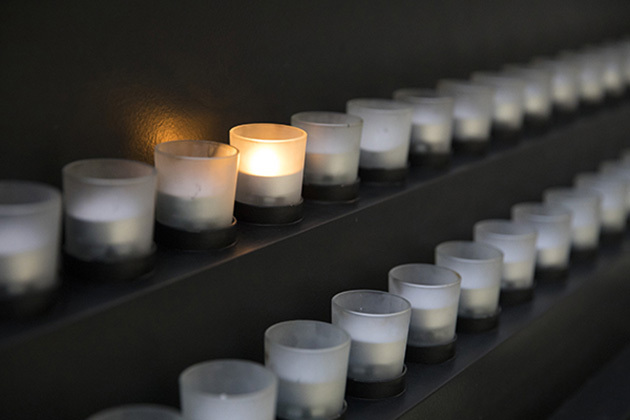 Co-organized with the Rosenthal Institute for Holocaust Studies of the Graduate Center of the City University of New York, this major international conference of scholars to coincide with the worldwide commemoration of the Holocaust in Hungary. In coordination with this conference, the Holocaust Documentation Center and Memorial Collection Public Foundation of Budapest organized an international scholars conference titled “The Holocaust in Hungary: Sixty Years Later: A European Experience,” which took place in Budapest, April 16–18, 2004.